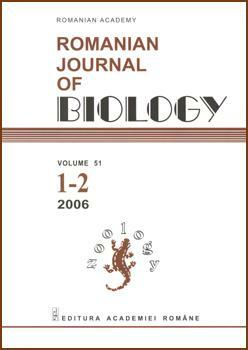 Romanian Journal of Biology - Zoology, abbreviated as ROM. J. BIOL. -ZOOL., publishes original papers from all fields of animal biology: taxonomy, systematics, zoogeography, ecology, morphology, physiology, genetics, etc. Book reviews are also included. Starting with the volume 51, 2006, Revue Roumaine de Biologie, Série de Biologie Animale has changed its name into Romanian Journal of Biology - Zoology.